Project is funded by German Foreign Ministry together with local municipalities and ASB. Project goal is to contribute to the socio-economic inclusion of particularly vulnerable social cases and their families in Bosnia and Herzegovina and to create opportunities for self-earning with vegetable production for economically endangered families. Bosnia and Herzegovina in the after war period records a high number of its citizens in social need. Those citizens vary in age, health conditions and economic status but are in general vulnerable and often marginalized. An increasing number of unemployed people gradually turns into a social category, where unemployed people address their condition and status to the Centers for Social Welfare. Recruitment of these categories is faced with numerous problems and aspects, especially with the change of the habit of social lethargy into active work. Cooperation with Centers for Social Welfare through the implementation of certain projects is a significant form of donor assistance. Such projects result in direct impact on improving the economic status of socially vulnerable families, and indirect impact – the return of the unemployed population into working habits and obligations. The working therapy of socially vulnerable people has distinctive and somehow invisible influence by which beneficiaries also improve their mental health conditions caused by their own status in the society. The project of donating greenhouses to socially vulnerable categories has provided concrete material assistance with which, by their own working engagement, beneficiaries will shortly produce vegetables, meaning tangible and visible products. By this approach, socially vulnerable people quickly enter market ‘competition’ by selling agricultural products as a result of their own work. 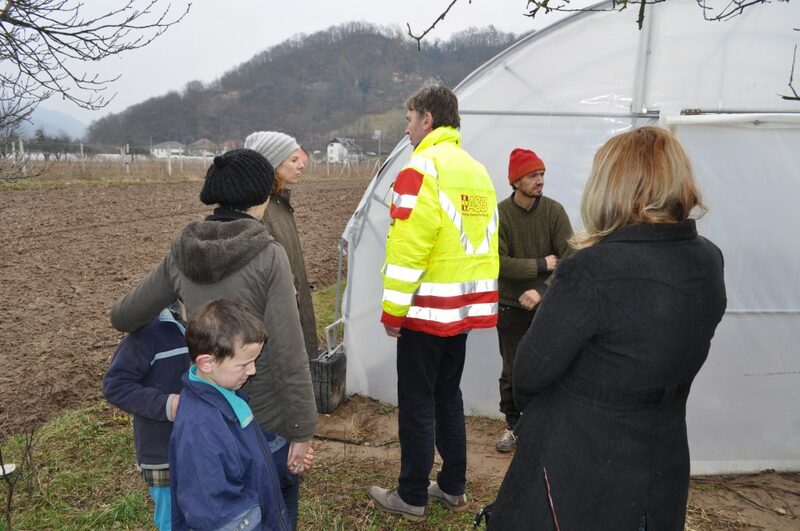 In period 2017-2018, ASB SEE carried out the distribution of greenhouses in local communities of the municipalities of Prača, Goražde, Gornji Vakuf and Ustikolina in Bosnia and Herzegovina. Mirsada is a woman with severe psychological trauma caused by the war in Bosnia and Herzegovina. Mirsada’s working disability is evaluated and claimed by the competent labor commission in charge, thus implying no official employment potential. She is married and has two sons registered as children with special needs and difficulties in personality development. In particular, they express the impossibility of communication and expression, and are on the treatment of the speech therapist in the daily Social center of Goražde. One of the sons, who reached the school age, was not enrolled in the school due to his health and psychosocial condition. Her husband Bego is capable for work, but with significantly deteriorated health. As a family, they live from social support, some collection and sale of secondary raw materials, and lately from small-scale agriculture. The awarded greenhouse, BIOS T63 model, is fully equipped for active process with a 500 liter plastic tank, plastic irrigation water pipes and black foil. Beside the greenhouse, seeds were also provided for Mirsada’s family. Work in and around greenhouse also presents a working therapy for the entire family. “I wanted this for a long time. I think that I will have somehow my peace in it, but also benefits for my children, so that they can eat healthier food, and learn to work with me. 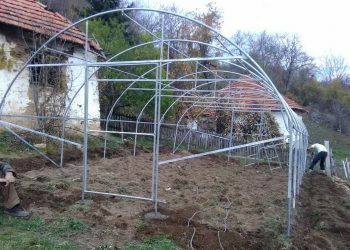 From vast experience gained through similar projects and due monitoring, ASB Bosnia and Herzegovina Project Team has estimated that users actively engaged in the greenhouse work can feel economic benefits very soon after installment of the greenhouse and seed planting. It is especially important to point out that each of these users has a real chance to sell their surpluses to the agricultural cooperatives present in the area. 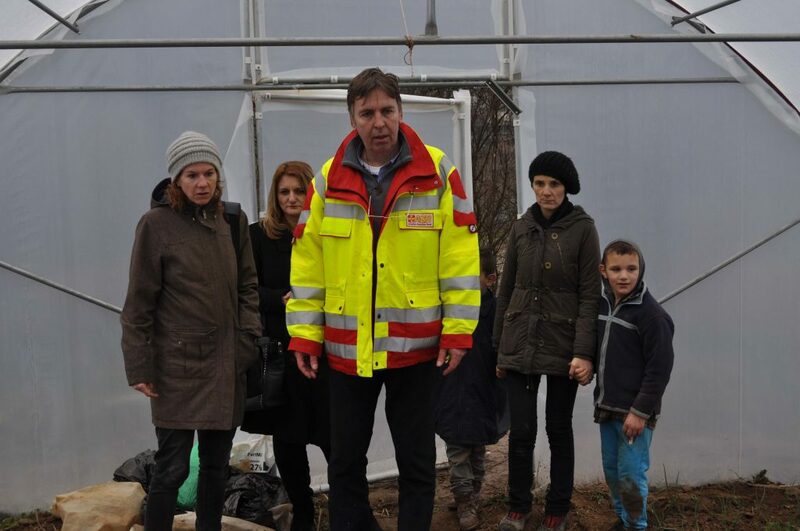 In 2019, we are continuing with greenhouses distribution in municipalities Bosanska Krupa, Hadžići, Visoko, Travnik, Stolac, Trebinje i Šamac in Bosnia and Herzegovina. Project duration is one year.